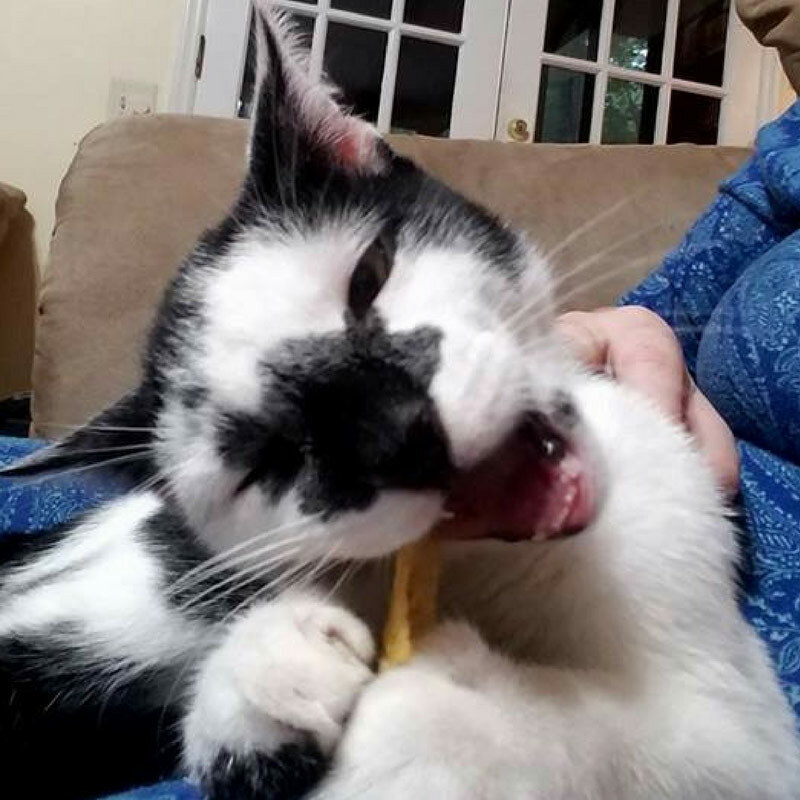 This charming kitty knows exactly what he wants. 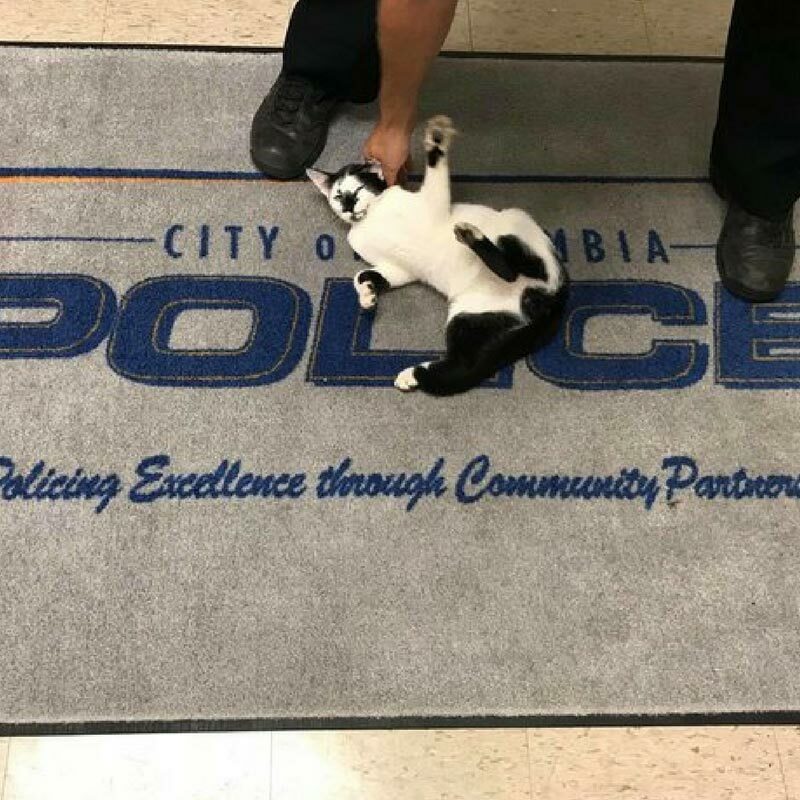 At Columbia Police Department in South Carolina, officers noticed a cat outside of the station. He had arrived one weekend a month ago. Rather than be subtle and cute to get what he wanted, this cat demanded everyone’s attention and love! 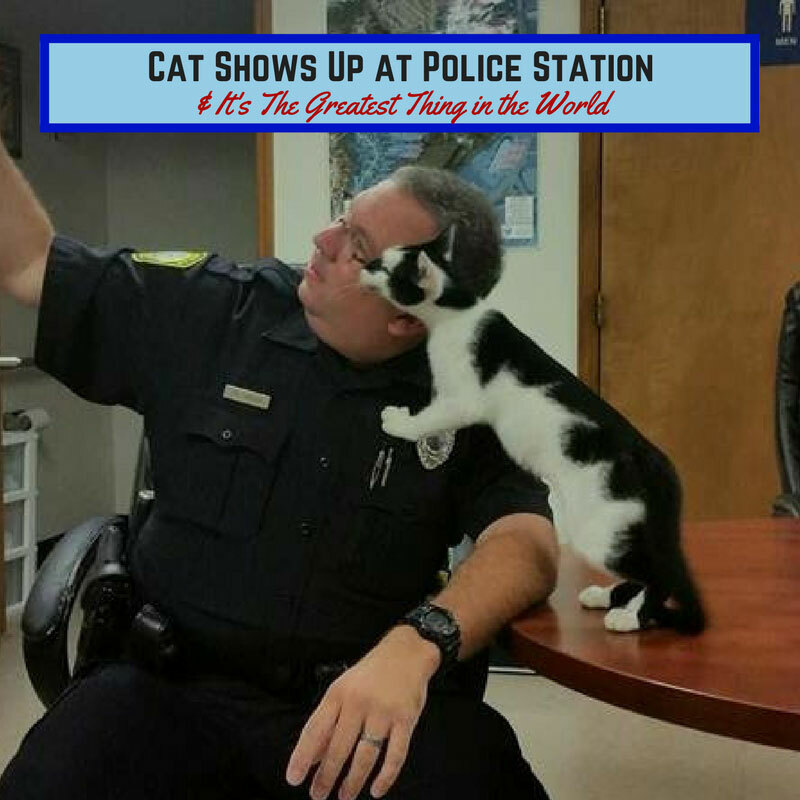 To no surprise, the police officers could not resist.The officers adjusted to the cat’s presence quickly, despite his originally uninvited presence. It did not take long for the cat to take overlaps. 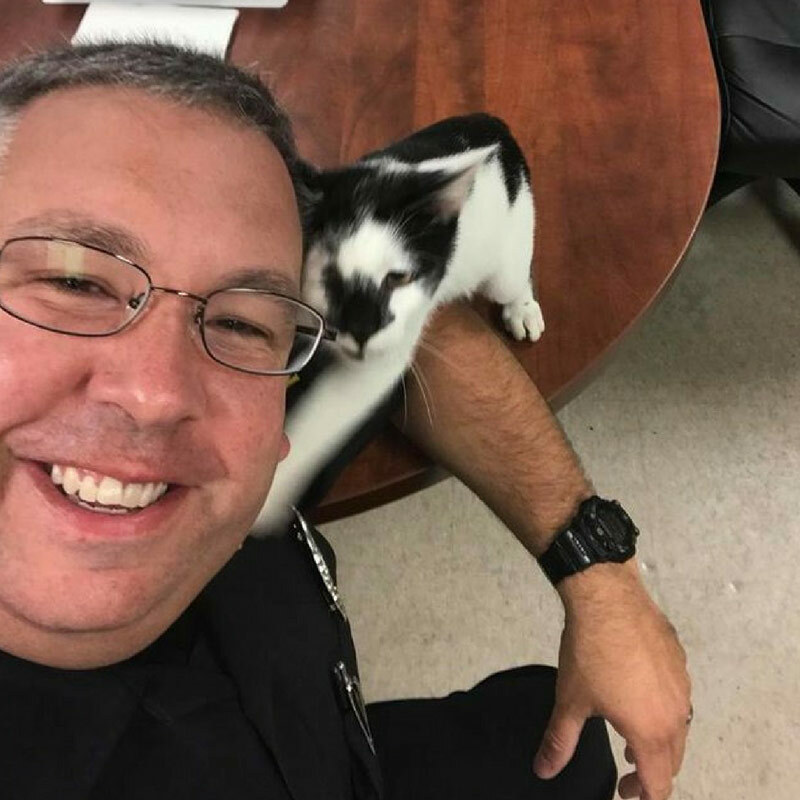 One of the officers fell in love with the cat – so much he took a selfie with him! And of course, someone caught a picture of the moment taking place. 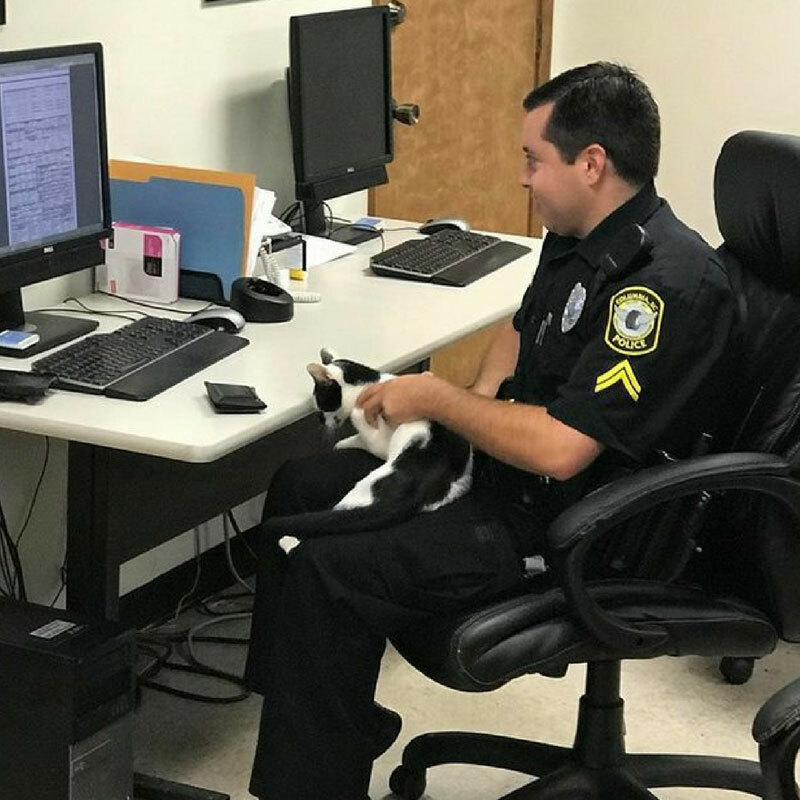 Knowing the cat likely had a family somewhere, the officers decided to try to send the cat back home. …But the cat wanted no part of this. As the next day came, the cat returned again. His attention-loving ways had not gone anywhere. 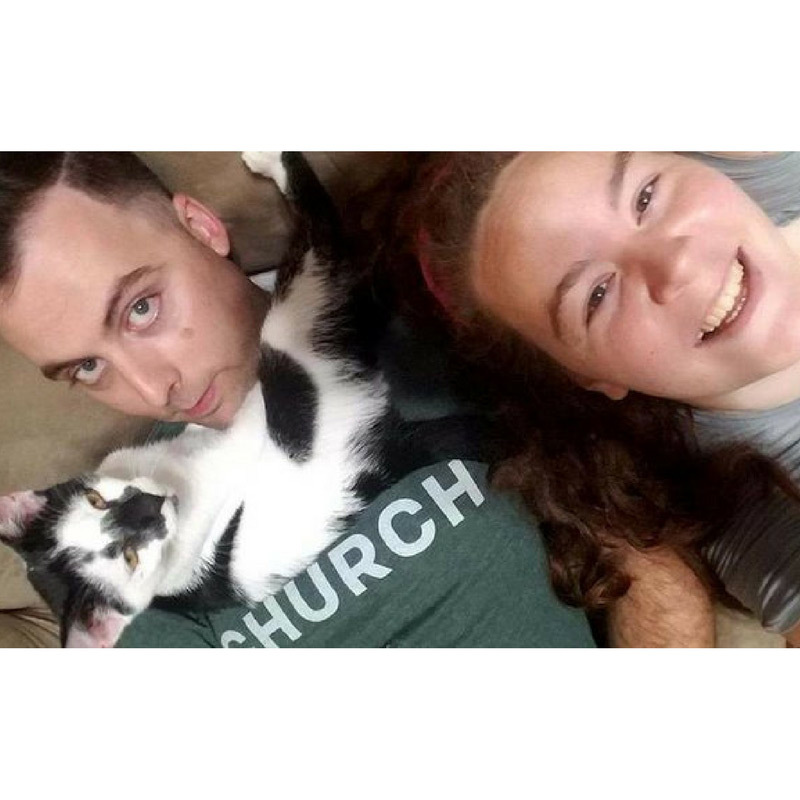 Officer Brandon Montgomery had his first encounter with the cat on this day, as he had been off work over the weekend. 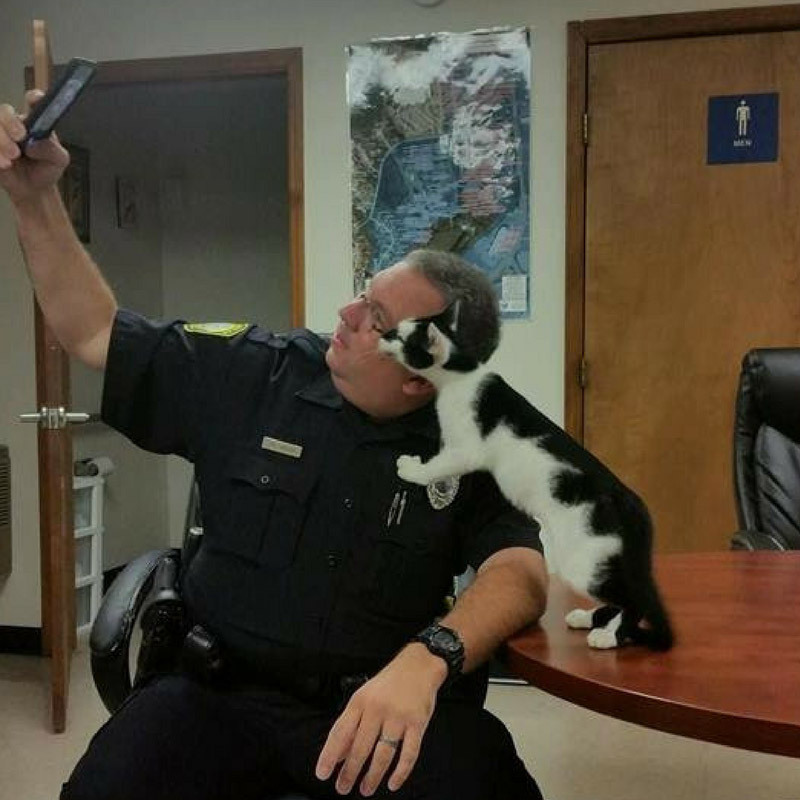 The officers posted photos of the cat online in an attempt to find the original owners. No one claimed the cat, however, so instead it was time to make a choice. 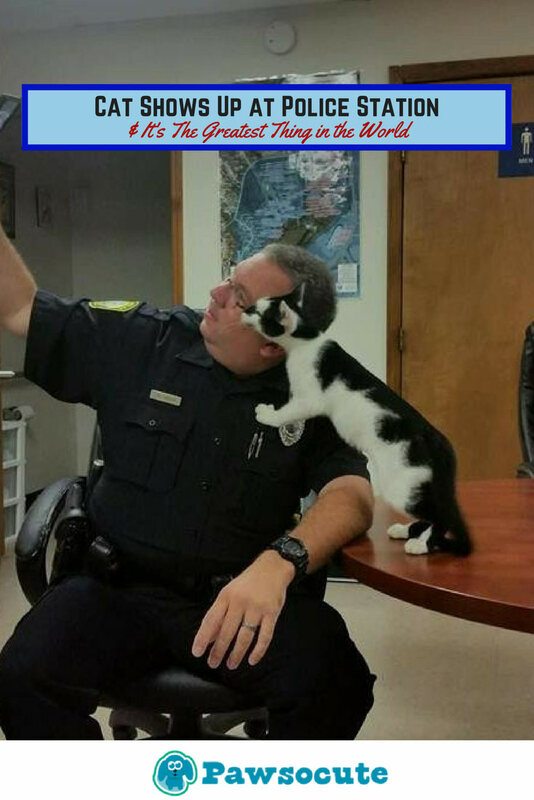 Rather than send the cat to a shelter, Officer Montgomery volunteered to adopt the cat. The cat, now known as Kingsley, has made himself quite comfortable in the Montgomery home. Kingsley is not the only rescue pet in the home, giving him plenty of company – including a dog and two other cats. Did we mention there are two toddlers in the Montgomery home as well? While we may never know why Kingsley decided to show up at the police station in the first place, it sure is great he did! From the start, it seemed Kingsley knew just what he wanted and where to find it.